The Provo Utah County Real Estate Search shows ALL the Provo and Utah County homes available today on the MLS. Once a home is ‘Pending’ it will be removed instantly. Team Teasdale Realty will help you understand which homes or condos in Provo are a good deal and which ones you can actually buy. It can be confusing for the new buyer in the Provo Real Estate market. We will help make it a simple enjoyable process. Let’s get started! Have you seen our signs or colorful vehicle around Provo? 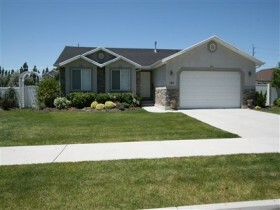 We have listed and sold many residential homes and short sales in Provo over the past few years. In fact, Paul has been selling homes and condos in Provo since 1995.